The rain of quad core smartphones in the Indian market continues. This time its from Zen Mobiles, they have launched a quad core smartphone named as Zen Ultrafone 701 HD. Zen Ultrafone 701 HD is a smartphone which features a 5" IPS HD (720p) screen and is powered by MediaTek 6589 Quad Core Processor clocked at 1.2 GHz. It runs on the latest version of Android which is Android 4.2 Jelly Bean. The RAM provided in the device is 1 GB. Talking about the optics part, it features a 8MP rear camera with flash & autofocus and a front facing camera of 3.2 MP. It comes up with 4GB of internal memory which can be further expanded upto 32GB via a SD card. The turning point of this smartphone which gives it an edge is its price. It is priced for Rs 12,000 which gives it an extra edge over its main competitor which is the Micromax Canvas HD which is priced around Rs 16,000. 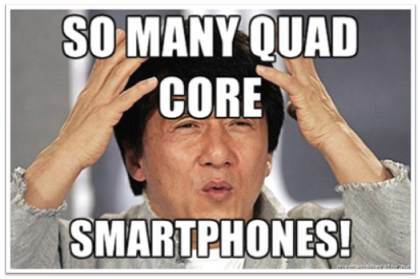 So you must be confused with the flood of quad-core smartphones in the market. Here we have a comparision chart which will help you a bit! This comparison between Zen Ultrafone 701 HD and Micromax Canvas HD A116 is done totally on the basis of the on paper specification. As you can see, most of the specifications are same. The two major things that would make me buy the Zen Ultrafone 701 HD over Micromax Canvas HD would be the Android Version and the price. 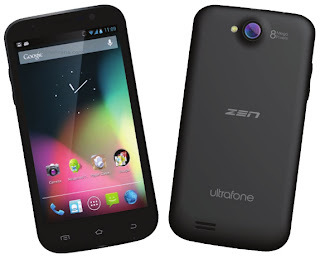 Zen Ultrafone 701 HD runs on the latest Android 4.2 Jelly Bean whereas the Micromax Canvas HD runs on a previous version of Jelly Bean which is the Android 4.1. This all comes at a price of Rs 12,000 which is Rs 4,000 cheaper than Micromax Canvas HD. As they both are Indian Manufacturers, you cannot expect a great after sale service as Indian phone makers haven't improved in that particular segment. Considering these factors, as of now I feel that Zen Ultrafone 701 HD would be a better phone to buy. I hope that Zen Ultrafone 701 HD comes out to be the same as promised. So what do you think? Which one is the better phone? Leave your thoughts and comments in the comment section below. Also share this article on your Facebook and Twitter with your friends and families.